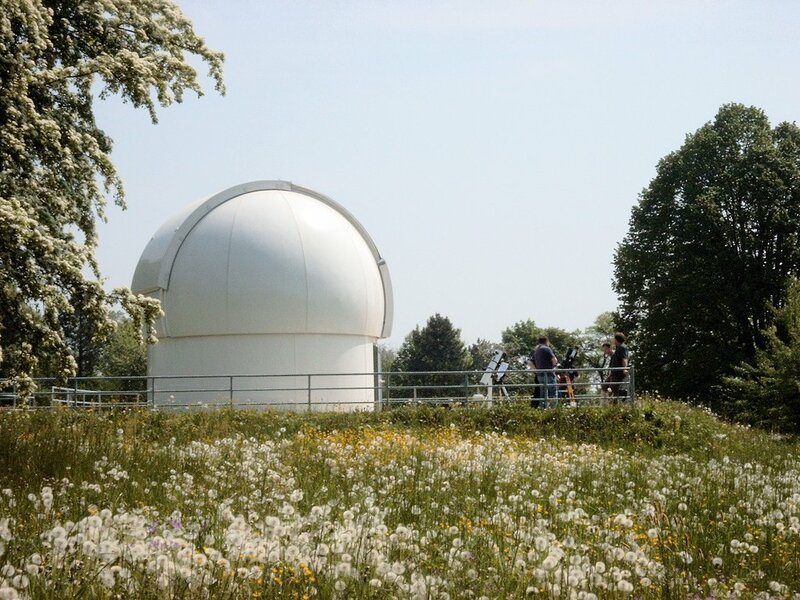 An old 40 cm mirror telescope is mounted in the observatory until a new telescope is available. 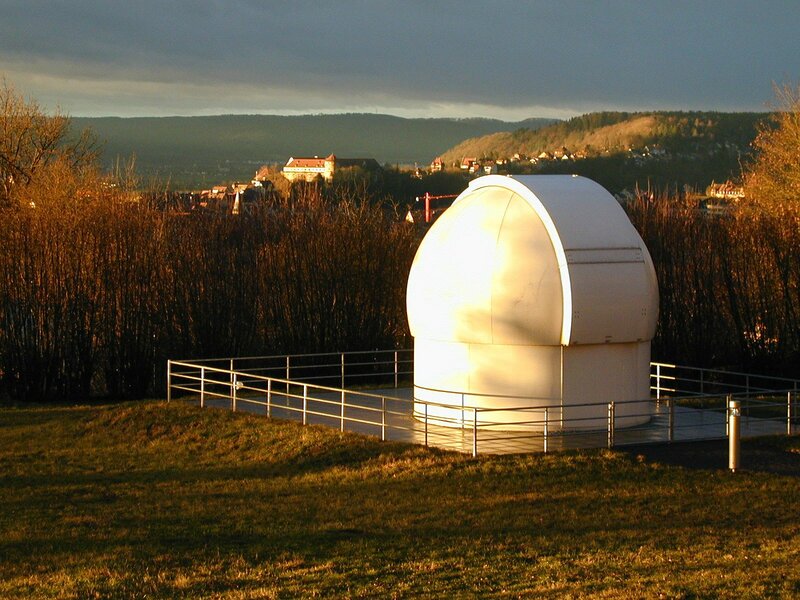 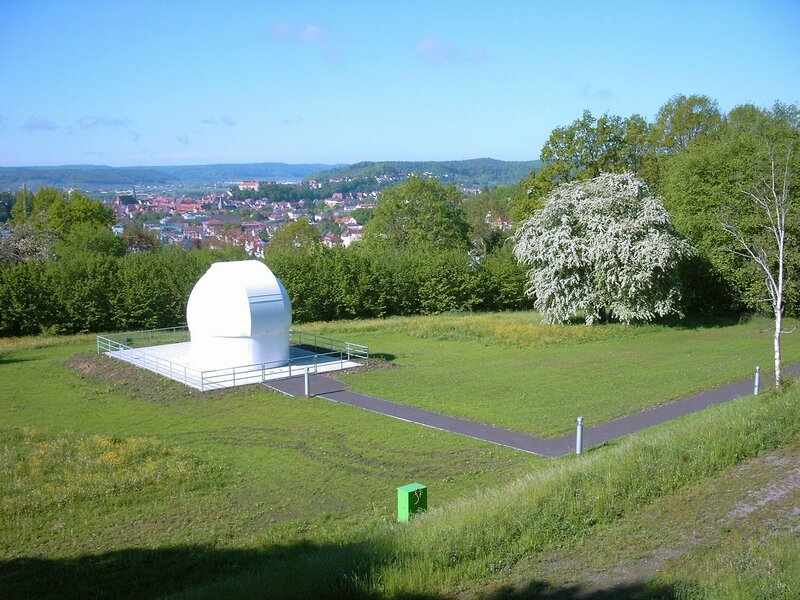 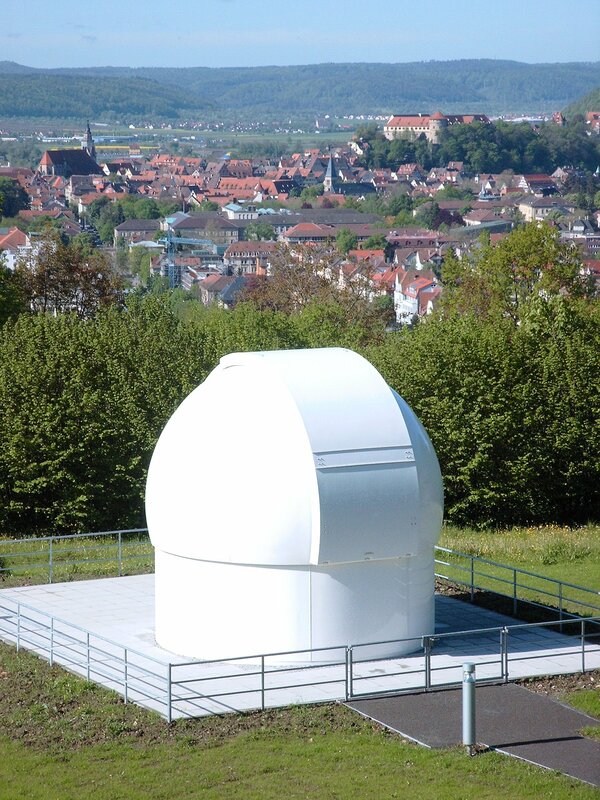 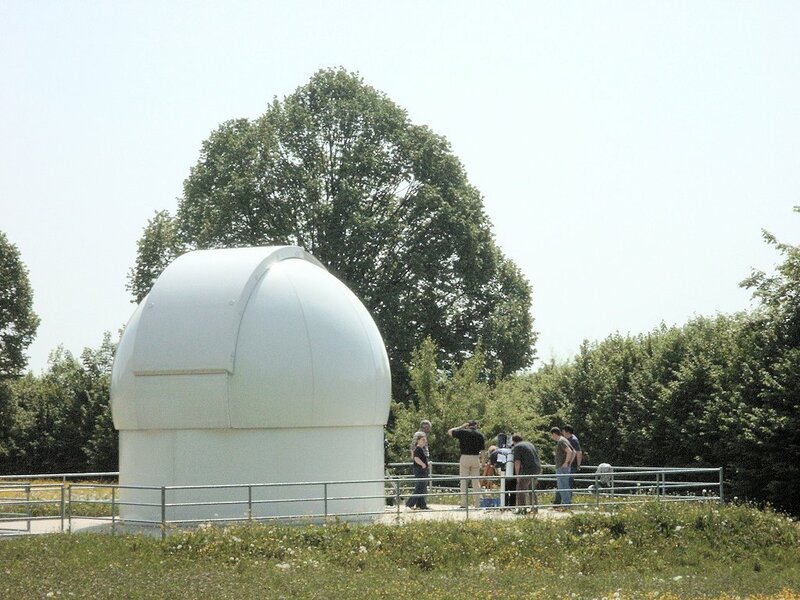 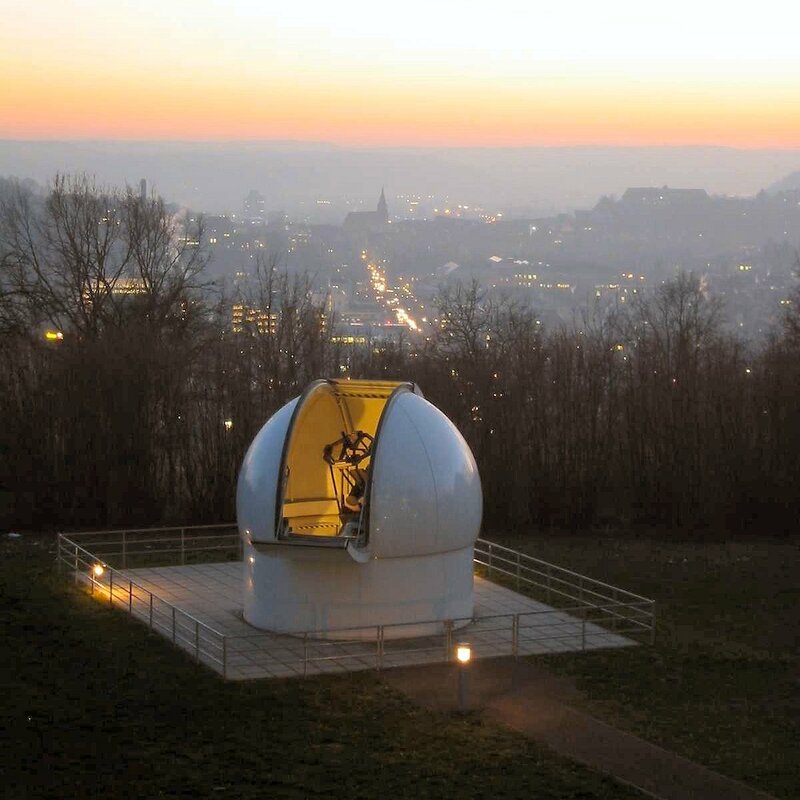 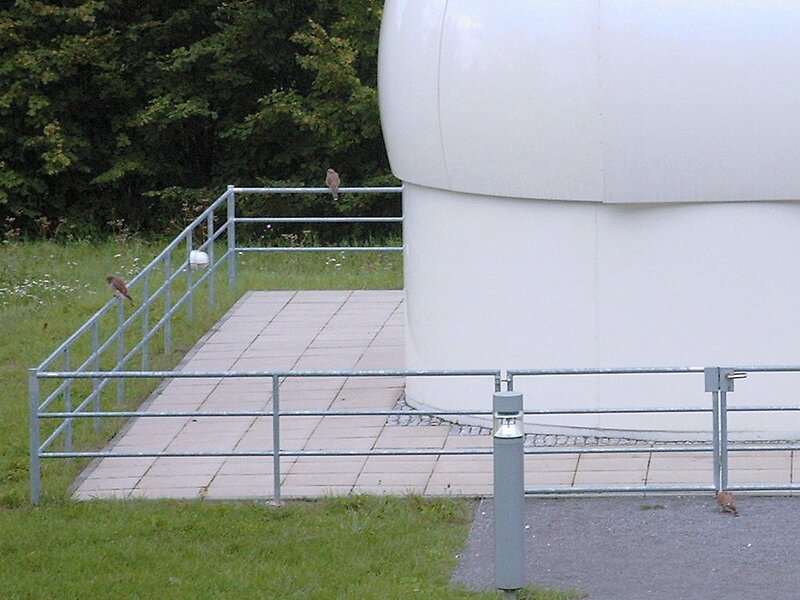 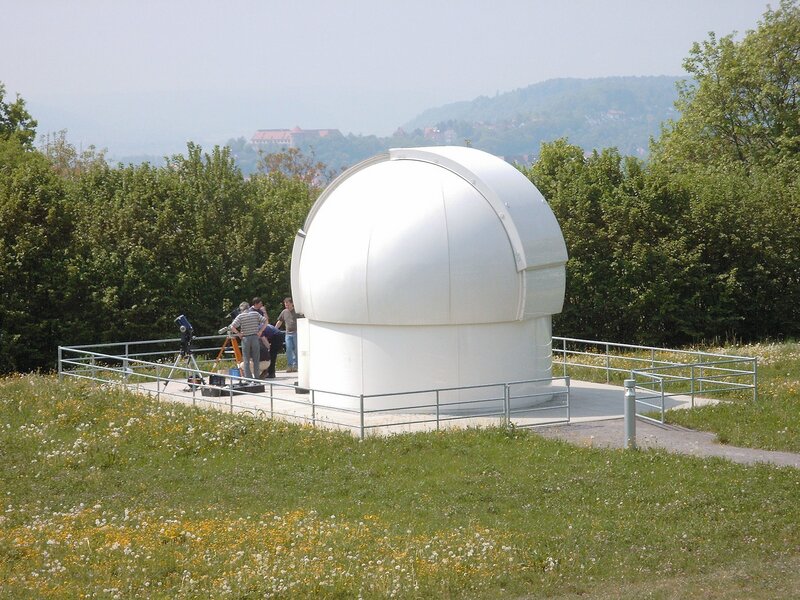 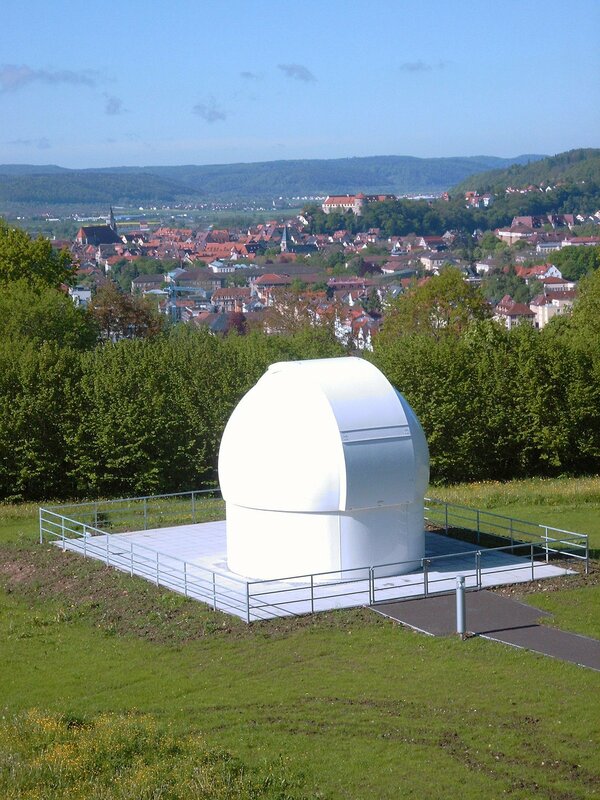 It is equipped with a CCD camera and a spectrograph and is used for photometry as well as for spectroscopy. 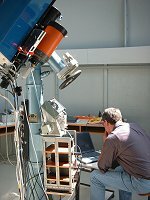 This telescope was used in the 1960's for ESO site testing in South Africa. 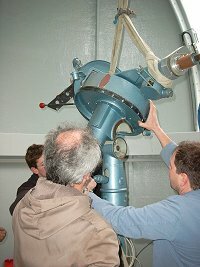 1964/65 it was mounted on the Etna as part of the observatory of Catania and was used there for long term photometry of symbiotic stars. 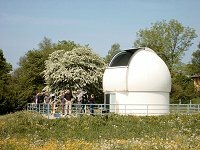 In the old observatory area it was mounted in a hut. 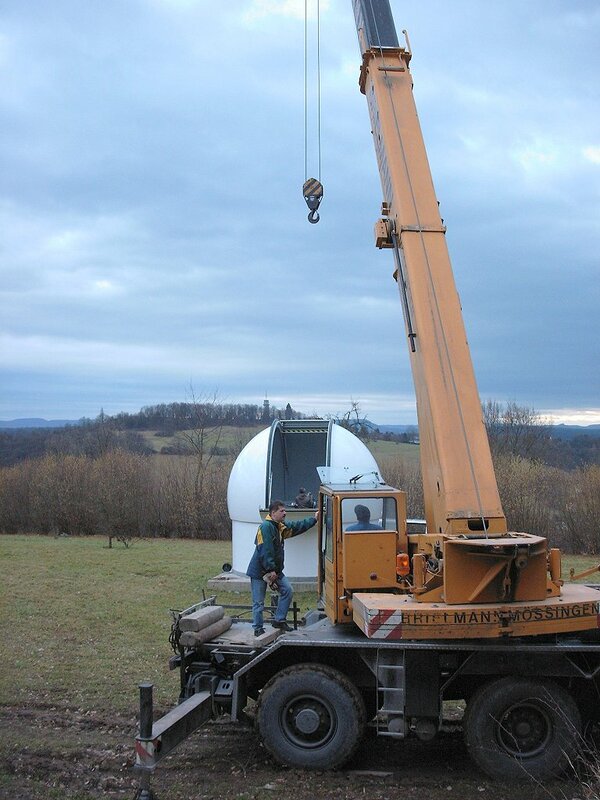 These images show the mounting of the 40 cm mirror telecope into the new dome on Feb. 12, 2002. 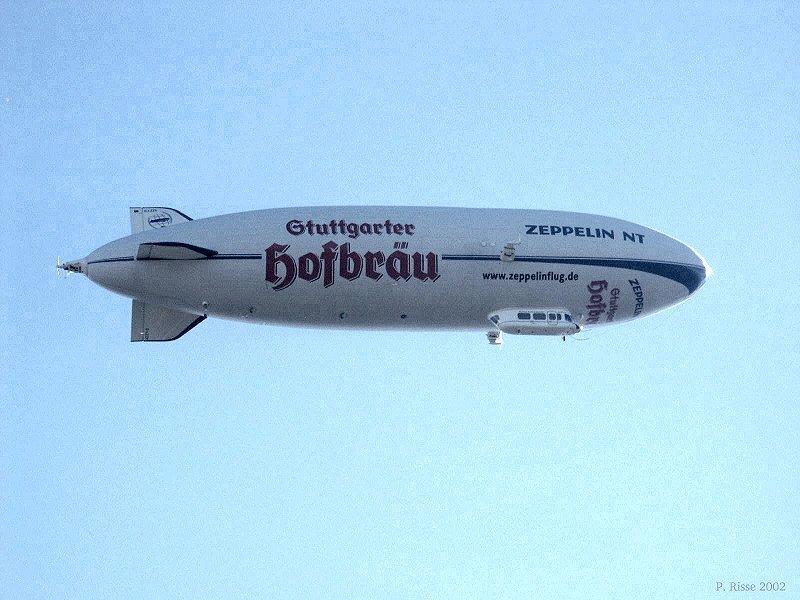 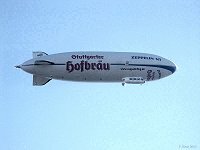 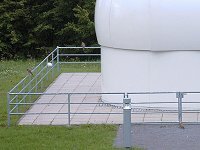 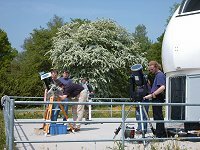 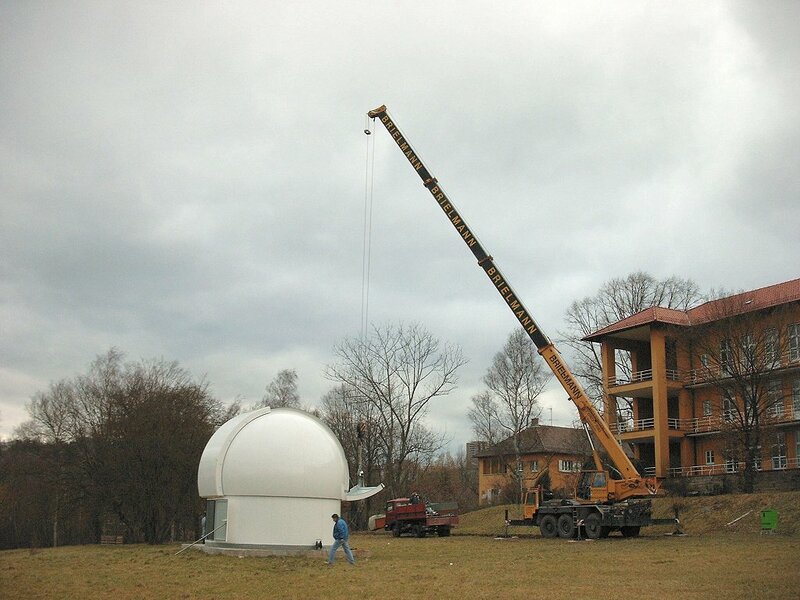 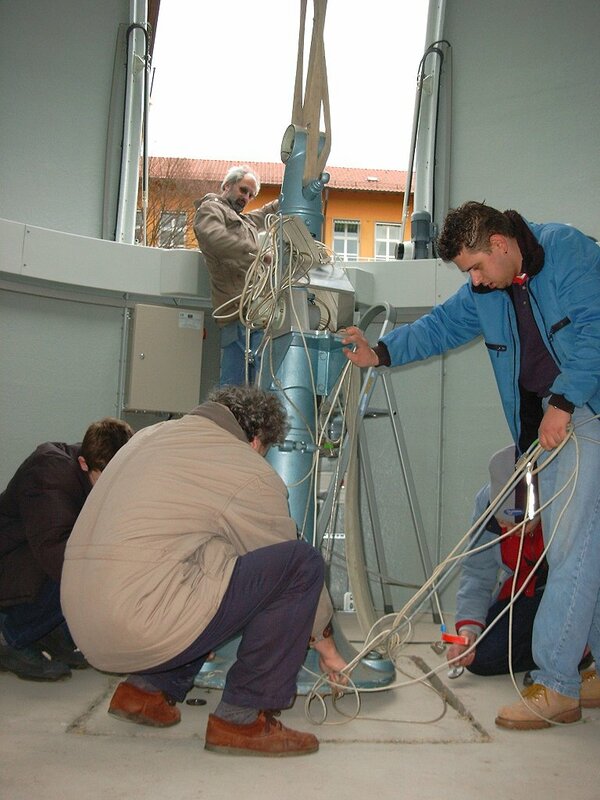 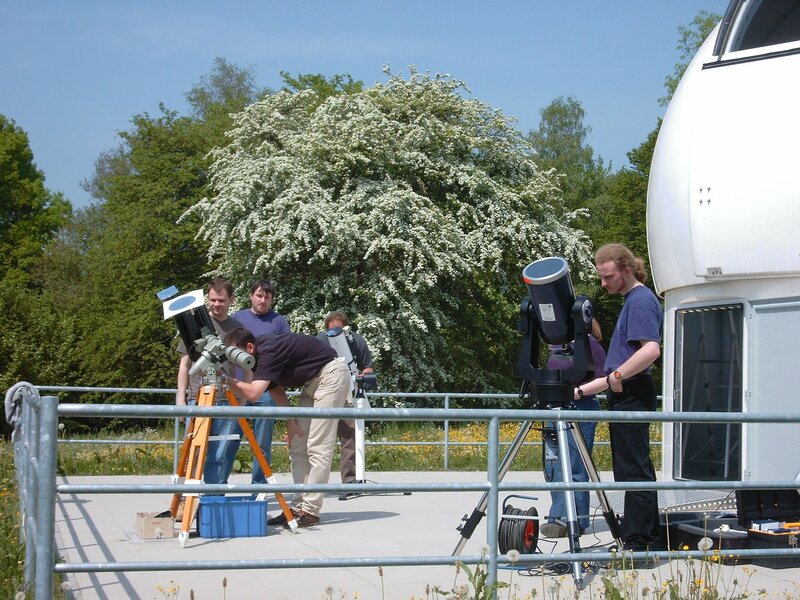 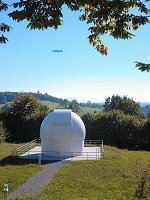 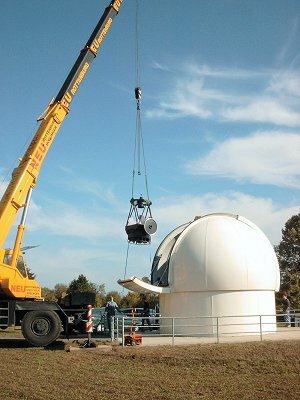 On September 30th, 2003 the new 80cm telescope was mounted. 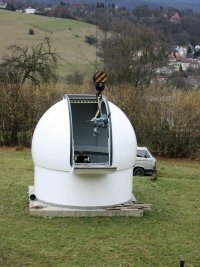 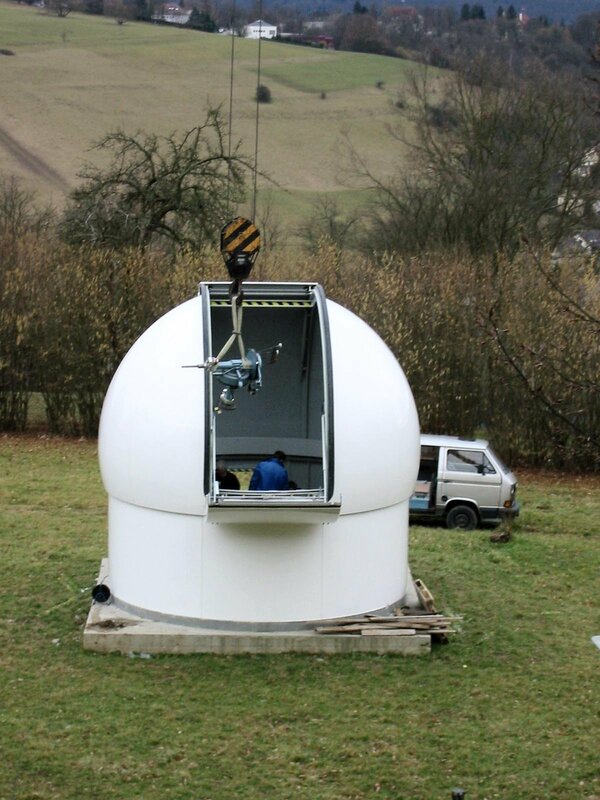 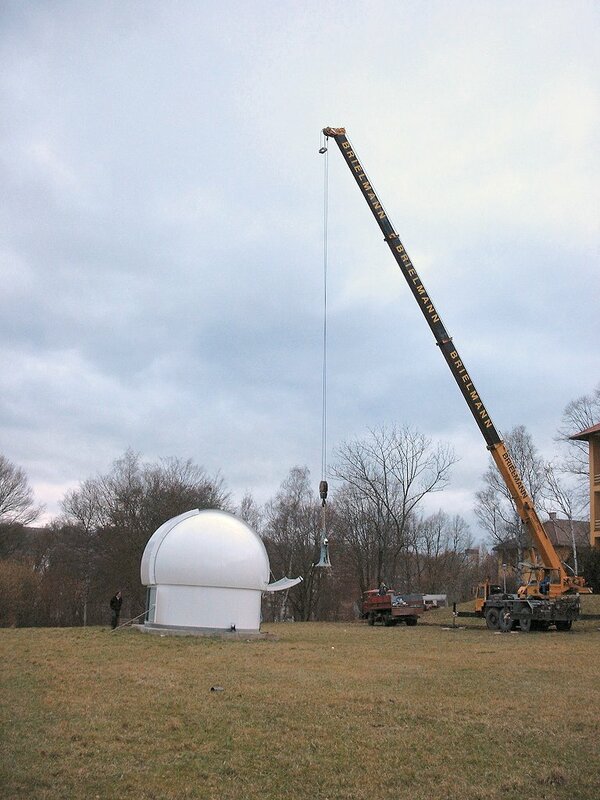 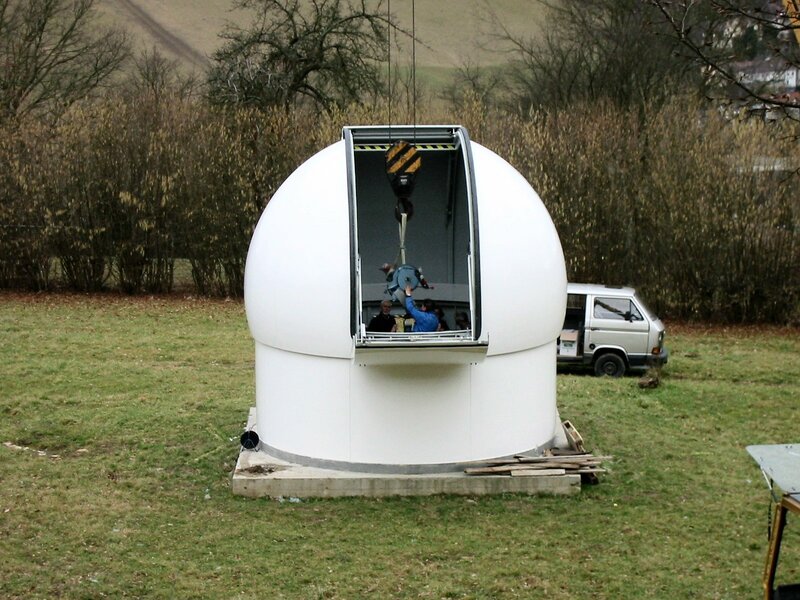 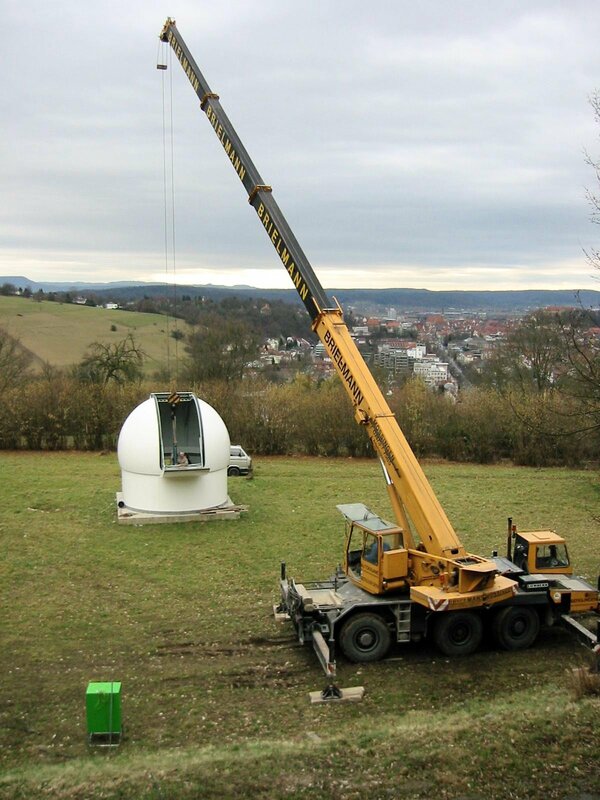 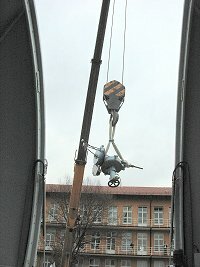 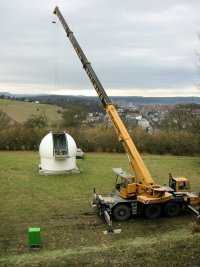 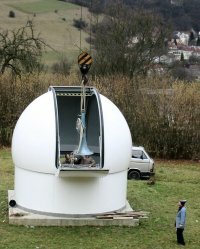 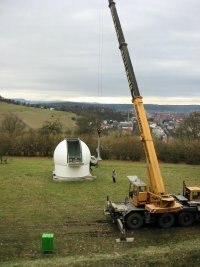 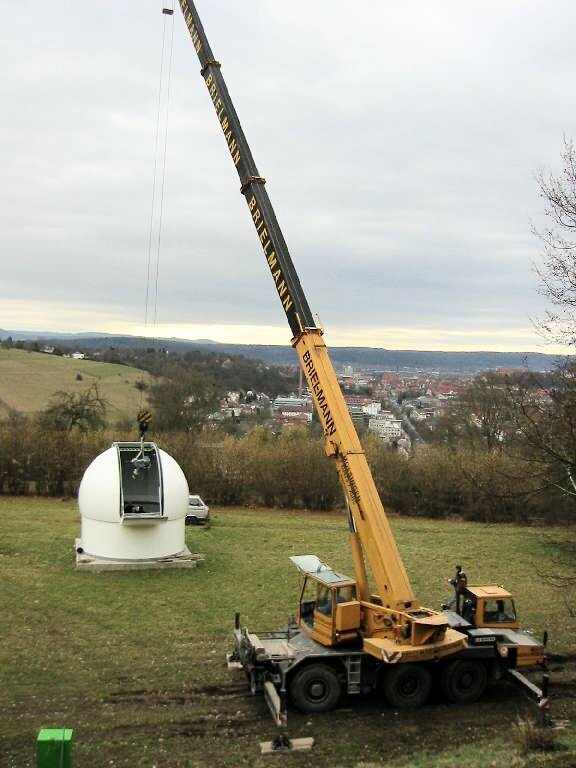 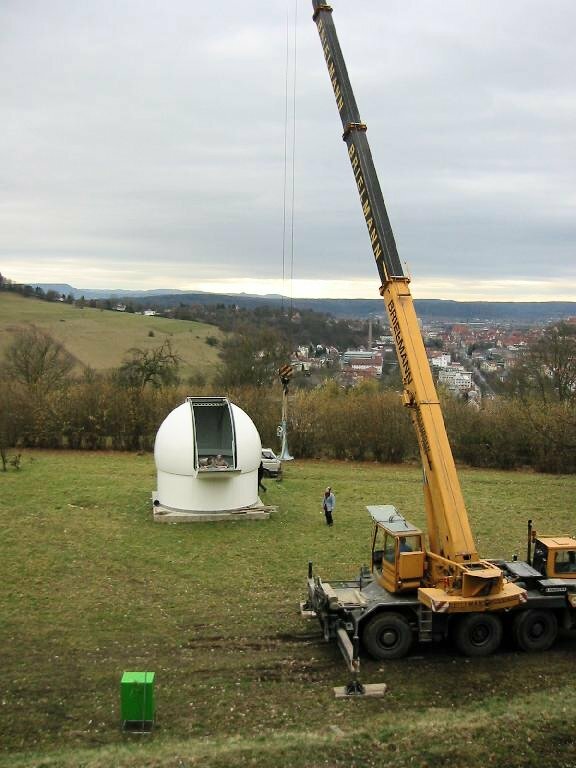 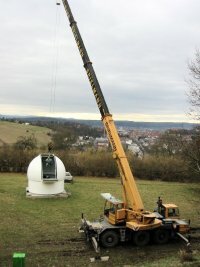 There is an image gallery of the installation of the telescope. 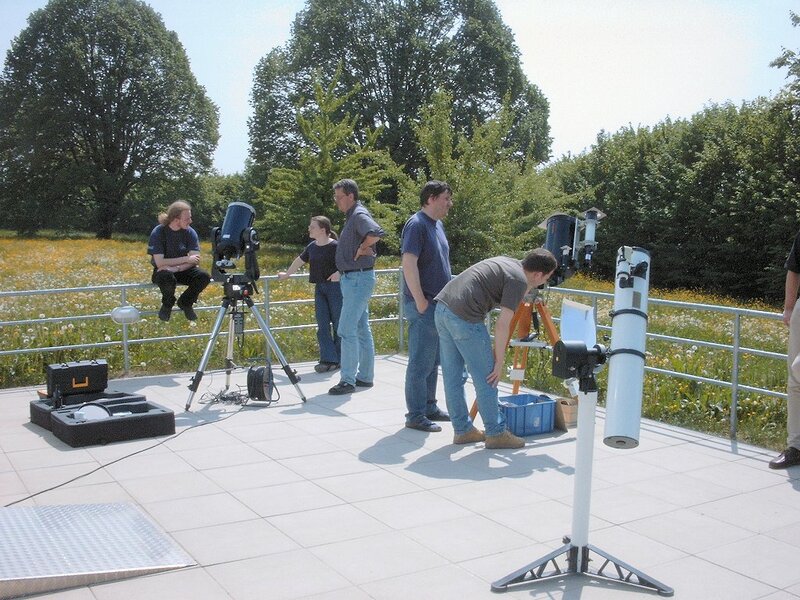 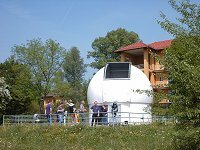 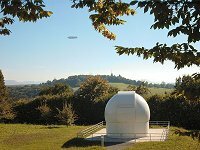 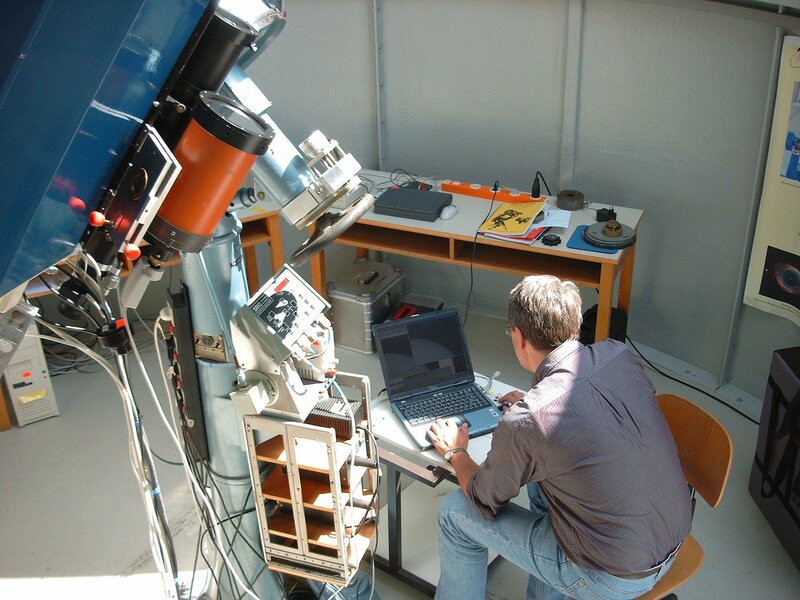 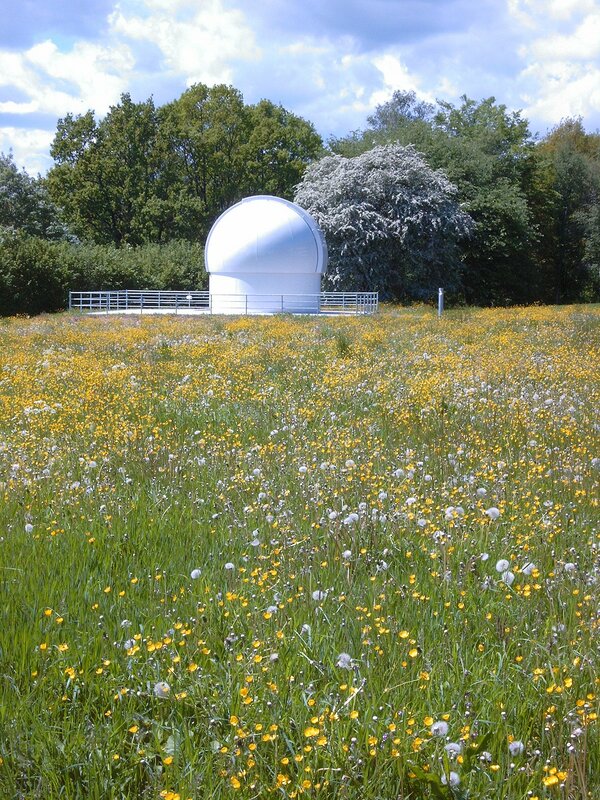 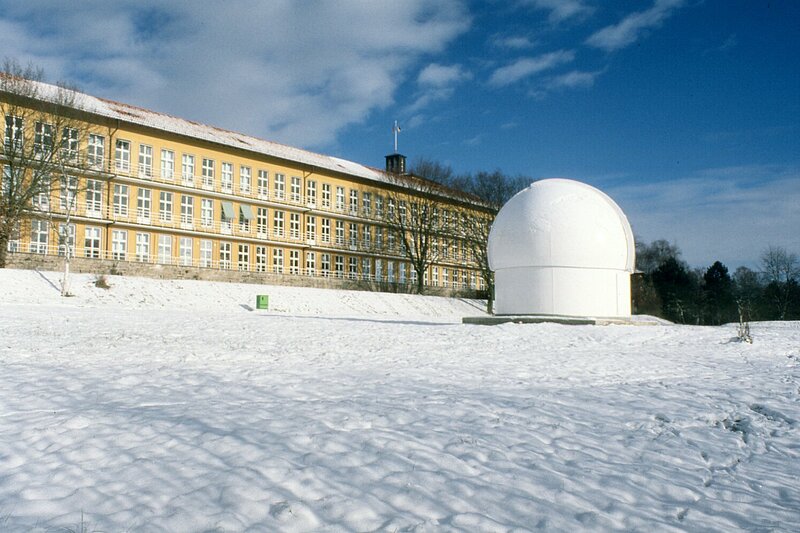 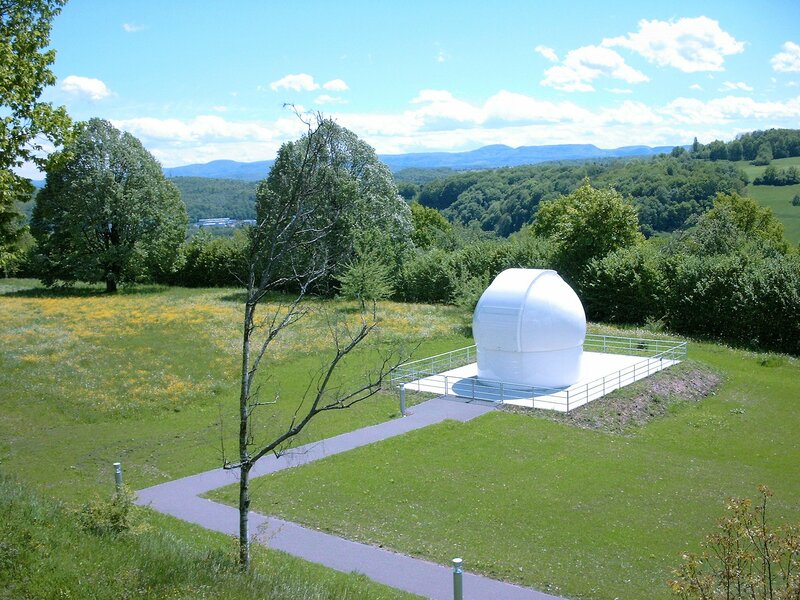 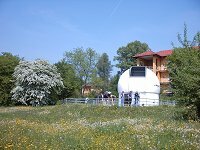 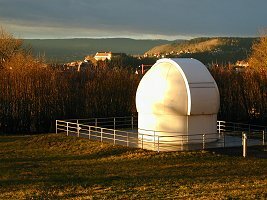 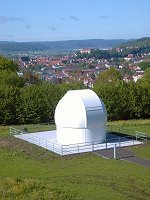 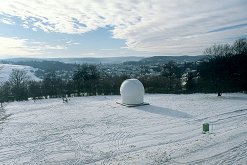 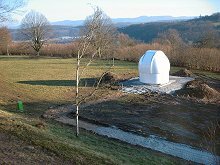 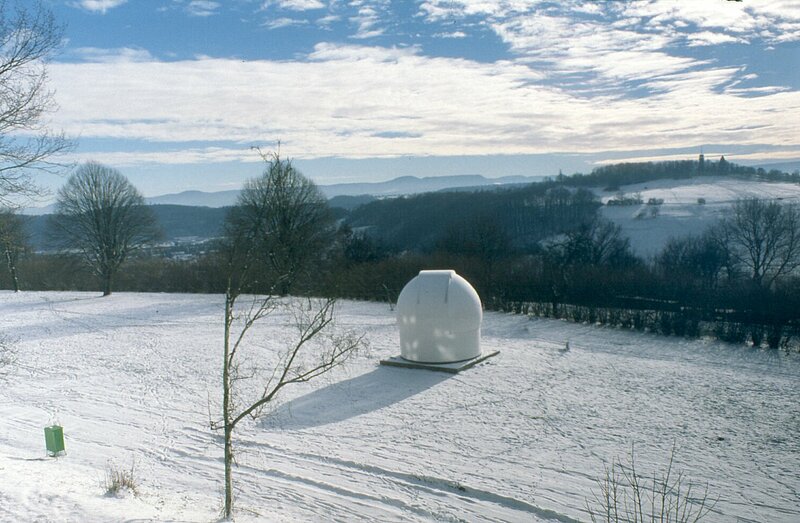 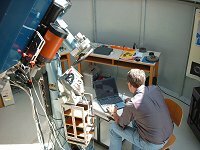 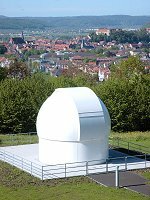 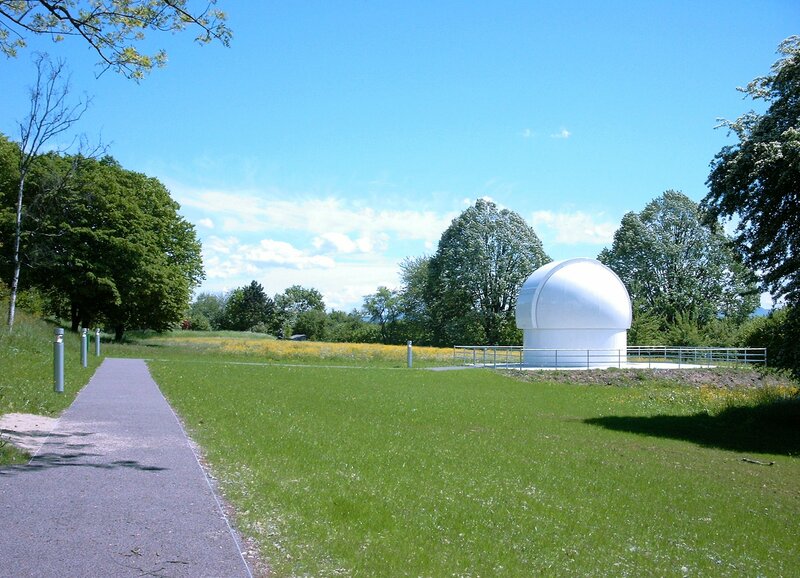 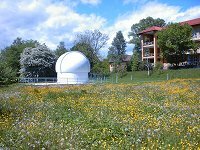 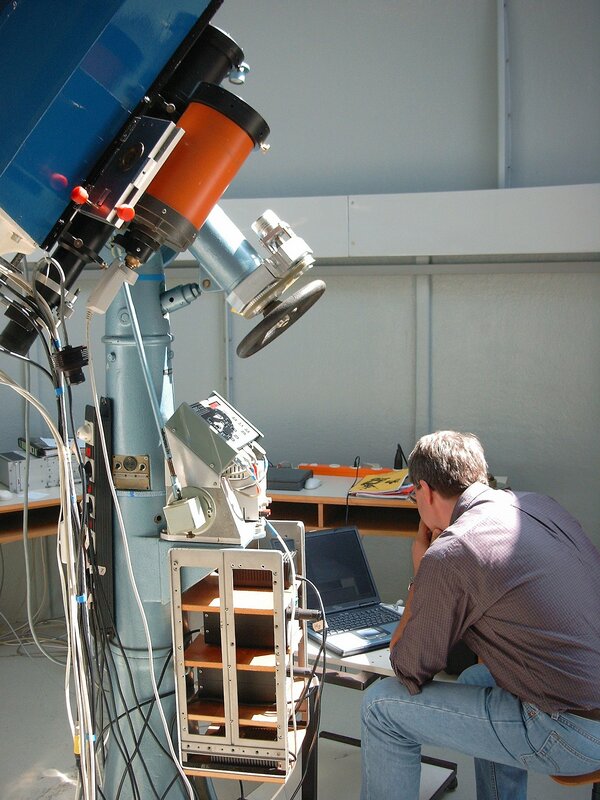 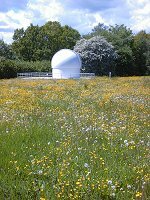 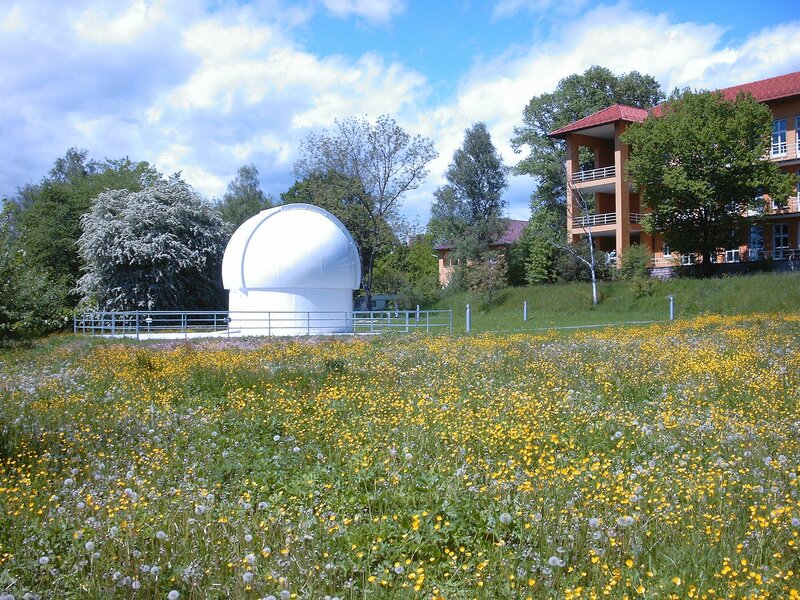 Also there is a web page about the scientific utilization of the telescope.